Starr discusses his new book on the "Powerhouse Politics" podcast. While Starr has been critical of President Trump’s criticism of special counsel Robert Mueller’s probe into possible collusion with Russia in the 2016 election, what concerns him more are Trump's tweets attacking Attorney General Jeff Sessions. Starr, a former federal appeals court judge, was outraged by the president’s recent tweet complaining about the Justice Department’s indictment of two Republican congressmen, saying it hurt the GOP's chances of holding onto the House in November's elections. Not only is Trump undermining the rule of law, Starr said, but he's accusing the Justice Department of playing politics and seems to fault Sessions for not intervening. Starr also weighed in on the Mueller investigation. President Trump’s legal team has made clear that if the president were to be subpoenaed by the special counsel, they would fight it. According to Starr, there are similarities between Mueller’s investigation and the one he spearheaded two decades ago - namely the White House attacks on prosecutors. 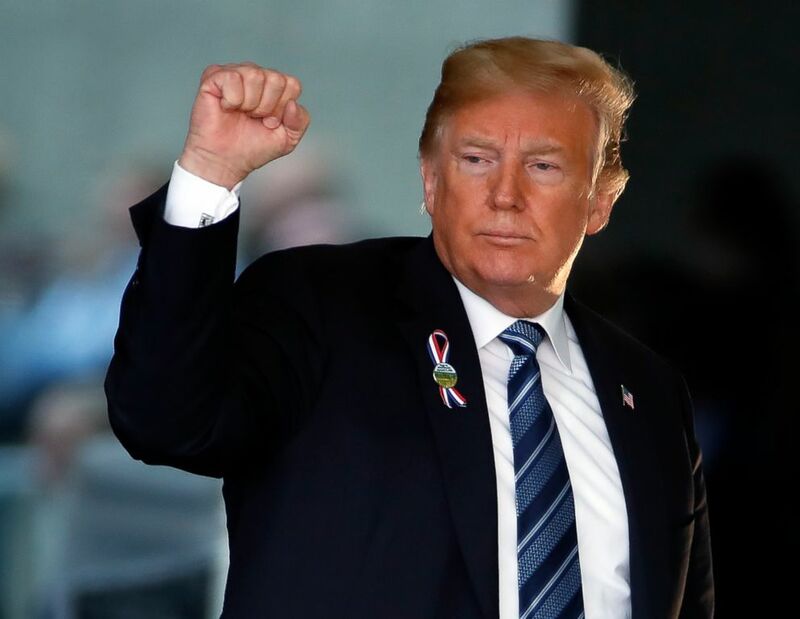 (Gene J. Puskar/AP) President Donald Trump makes a gesture as he leaves the stage after speaking at the September 11th Flight 93 Memorial Service in Shanksville, Pa., Sept. 11, 2018. 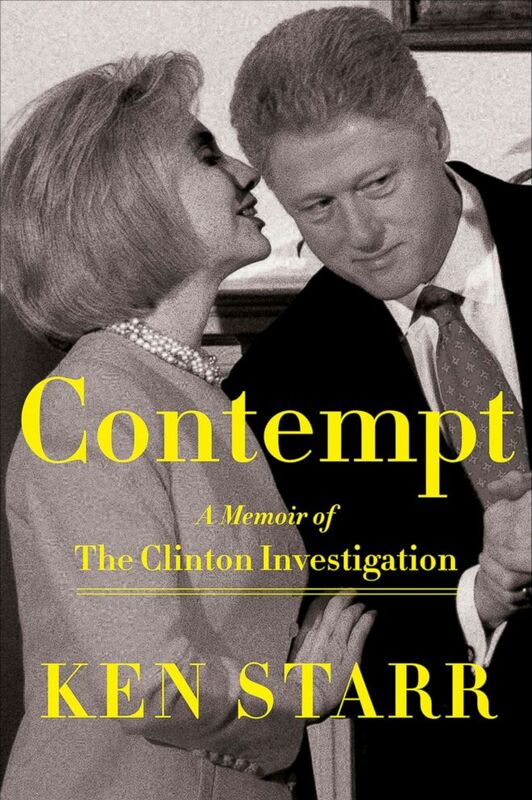 (Sentinel via AP) This cover image released by Sentinel shows "Contempt: A Memoir of the Clinton Investigation," by Ken Starr, released on Sept. 11, 2018. Starr’s book cover features a telling photo of Hillary Clinton whispering to her husband and he said it serves as a reminder of the limits of presidential power.